Choose from a variety of shapes to stand out from the crowd and to pique the interest of potential buyers. 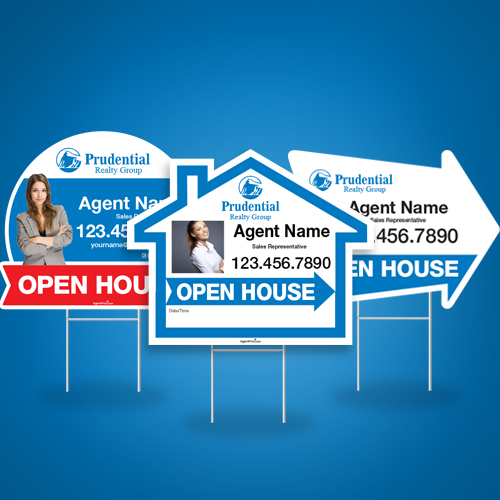 Prudential directional signs (shaped) are made with sturdy coroplast for added protection against sun damage, dirt, and scratches. This information is for our production purpose only. Add Lamination for extra durability and ability to Write-On. Durable Step Stake to go along with Directional Signs. **Shipping Time is not included.